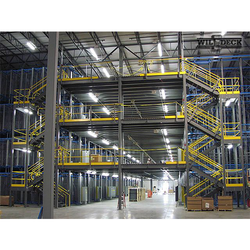 Offering you a complete choice of products which include mezzanine storage rack, mezzanine floor, slotted angle mezzanine floor, storage mezzanine floor, warehouse mezzanines and warehouse mezzanine. A mezzanine is, strictly speaking, an intermediate floor in a building which is partly open to the double-height ceilinged floor below, or which does not extend over the whole floor space of the building. A mezzanine is, strictly speaking, an intermediate floor in a building which is partly open to the double-height ceilinged floor below, or which does not extend over the whole floorspace of the building. 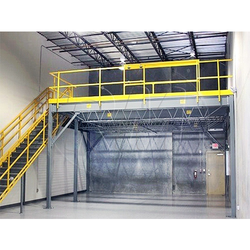 AACORD Mezzanines are an ideal utilization of the available vertical space without wasting the precious floor space. 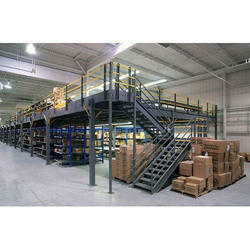 Customized mezzanines floors assemble quickly with much ease and simplicity. 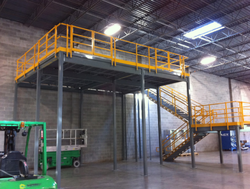 These floors can be effortlessly relocated, enlarged or dismantled with the property of high load bearing overhead levels. 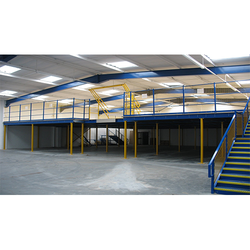 A mezzanine floor is an intermediate floor between main floors of a building, and therefore typically not counted among the overall floors of a building. ... 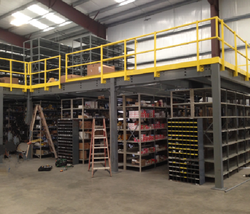 The mezzanine is often used in shops and similar spaces for storage of tools or materials. 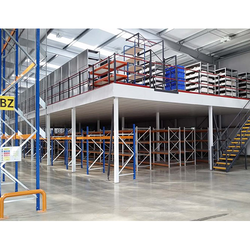 The combination of freestanding and shelving mezzanines in a total concept creates space, which can guarantee an optimal interaction of goods in and goods out in the storage area. 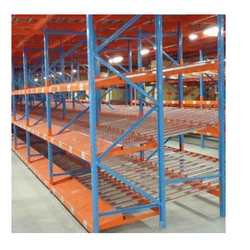 Keeping the diverse requirements of customers in mind, we are instrumental in providing Enclosed Type Storage Rack.